According to a division commander with Halifax Regional Fire and Emergency, the fire started on the exterior of the building but crews were able to contain the fire before it could get inside. A man has been arrested after a fire was deliberately set outside an apartment building near the corner of North and Agricola streets in Halifax, police said in a press release on Tuesday. North Street was shut down traffic Monday night. No one was hurt in the fire but there was a lot of smoke in the area. The fire was reported at 9:24 p.m. and about half a dozen fire trucks responded to the scene. The 55-year-old man was arrested in Dartmouth a short time later, Halifax Regional Police said. He is facing charges including arson, possession of an incendiary material and breach of recognizance. 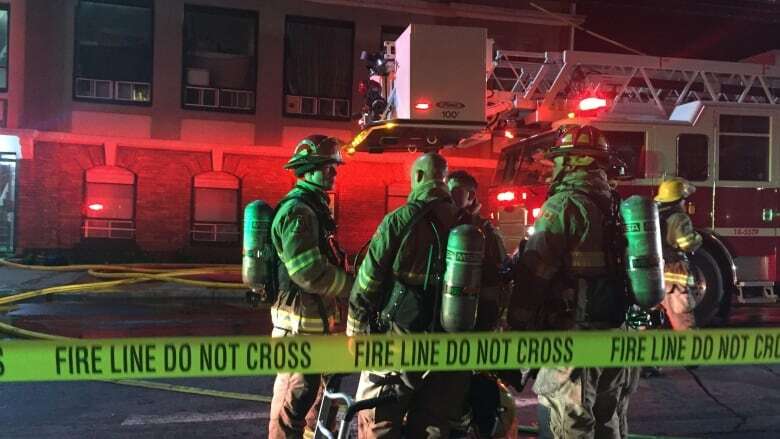 According to Halifax Regional Fire and Emergency division commander Mike Blackburn, the fire started outside the building, but firefighters were able to contain it before it could get inside. Blackburn said late Monday evening that tenants would be able to return to the building for the night. Several streets were closed to traffic, including North between Robie and Maynard and Robie between McCulley and Charles. Police were at the scene and issued an advisory Monday night asking people to avoid the area.